I stayed here from 24.10.96 till 28.10.96 in the Backpackers Inn, which is the closest hostel to the beach and about 500m from the town center. They have nice and clean 4 bed dorms ($14), a pool and very nice cooking facilities. 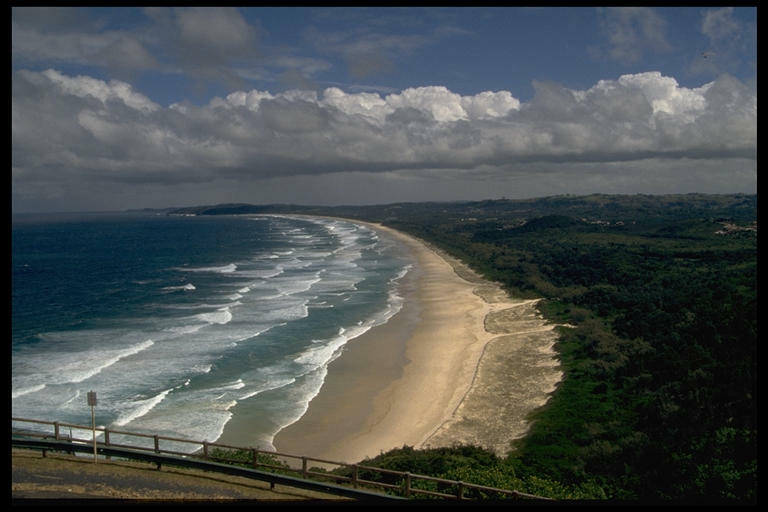 I liked this small and relaxed town with it's gorgeous beaches and the wonderful surf so much, that I returned to Byron Bay at the end of my journey (31.12.96 till 8.1.97) to celebrate new years eve. The second time I stayed at the Backpackers Holliday Village, because I didn't get a bed at Backpackers Inn, but the staff there was quite rude and unfriendly. Nice surf on the Tallow Beach, view from the Light House, the most eastern point of Australia. 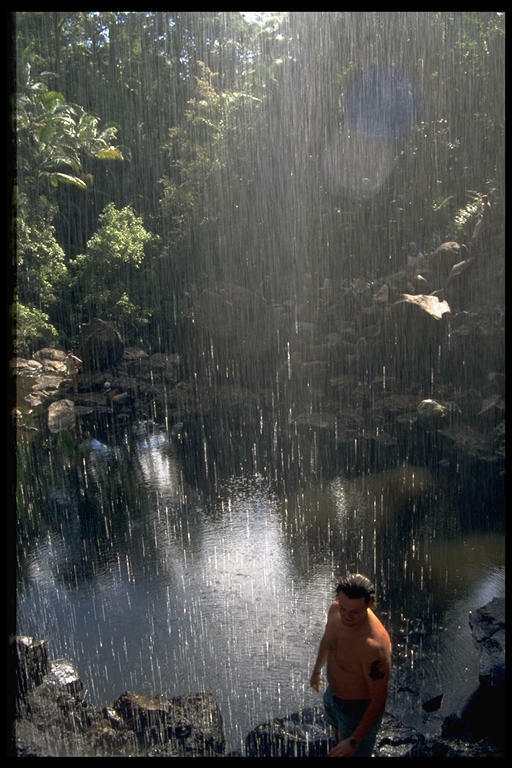 Waterfall on the way to Nimbin. 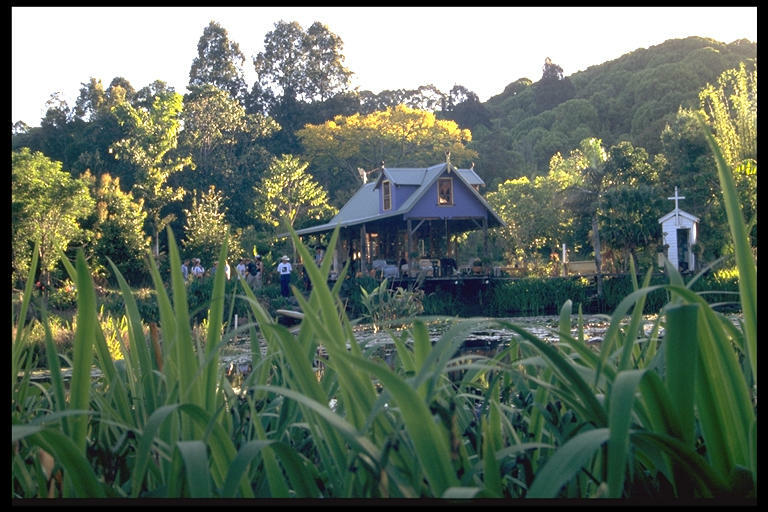 Living as a hermit, between Byron Bay and Nimbin.